In the frame of EASN knowledge and innovation dissemination activities, the 3rd workshop organized by the EASN Association aims to offer the Aeronautics community a forum to present and discuss the latest advances in the wider area of Aerostructures, to give an updated state of the art of the research in Aerostuctures in Europe and to present new ideas and innovative concepts for future research and projects. Read more on the EASN website. Aiming to maintain the outstanding success rates of the EASN endorsed projects in the previous calls, EASN has launched its “Expression of Interest” campaign for selecting the proposals to be endorsed by EASN for the first call of the Horizon 2020 Framework Programme for Research and Innovation. EASN members are invited to submit their ideas by the end of July 2013, by using the “Expression of Interest” form, available in the members area of the EASN website under documents. Download the EoI Form from the EASN website. Read more on the EASN website. 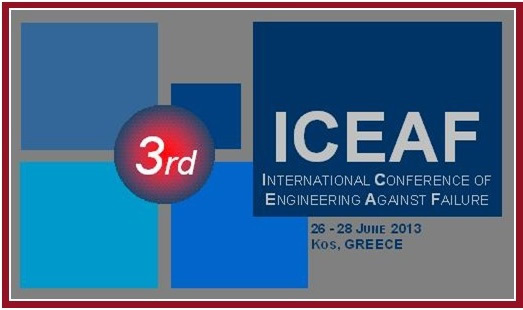 The 3rd International Conference of Engineering Against Failure – ICEAF III took place in Kos-Greece during 26-28 June with significant success. The conference was held under the auspices of EASN and acted as a key dissemination event for the scientific community. Results from the EASN endorsed projects were presented to more than 150 participants. Amongst the participants, distinguished scientists and researchers dealing with failure analysis and fracture mechanics were present. In total, 4 keynote lectures were given by invited speakers and 140 scientific works were presented, covering 28 parallel sessions. The 4th International Conference of Engineering Against Failure – ICEAF IV will take place on June 2015 at Skiathos island. Approaching the first year of the project, all the IASS activities are well on track having already achieved its internally set goals. The work has mainly been focused on the synthesis of new hardeners with specific functionalities, and on the functionalization of graphene layers and carbon nanotubes. Coupons have been produced using the best formulation with respect to fire resistance and electrical conductivity combined functionalities. Testing of these coupons gave very promising results which have been presented during international conferences and published in peer-reviewed international journals. For more information visit the IASS project website: www.iass-project.eu. 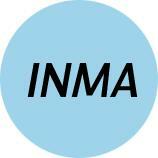 The INMA project is coming to its end and many results have already been generated. Experimental practices on incremental sheet forming to cold/hot work different alloys have been developed. Modeling tools to support the process have also being implemented. Material testing data are available. During the last period, fabrication of one of the project demonstrators (engine strut half) has progressed. Its completion is due by next September. On the other hand, a life-cycle assessment of the two different heating methods (global/local) implemented to hot work titanium is being carried out. A second issue of the project leaflet illustrating the main activities carried out can be downloaded at the project web site. In the third and final test campaign of ENCOMB, novel NDT technologies are being adapted to detect hydraulic fluid down to relevant threshold values as well as various degrees of thermal degradation of CFRP samples. The third focus is the detection of weak bonds due to poorly cured adhesive. An interesting outcome of the second test campaign was that accelerated ageing for 1000 hours at elevated temperature and humidity had no adverse effect on the mechanical strength of strong adhesive bonds whereas weak bonds caused by pre-bond release agent contamination were further weakened during ageing. The most remarkable result in the last period is the achievement of highly transparent mesoporous electrodes through low temperature processes on conductive glass. Regarding the TOLED lighting systems, printed red and green polymer devices have been successfully fabricated on flexible plastic substrates. The new electrodes were modified with electrochromic (EC) molecules and the corresponding devices showed a good performance with liquid electrolytes. Next goal will be the fabrication of EC devices on plastic substrates using a solid electrolyte. These results were presented during the Month 6 Project Progress Meeting which was held in Venice (Italy) on May 9th -10th at CVR facilities. Cold Spray Radical Solutions for Aeronautic Improved Repairs (CORSAIR) held its kick-off meeting on June 24th at the Politecnico Di Milano facilities in Milan, Italy. During this one-day event, the partners had the opportunity to meet and decide upon the activities and interactions to be realized in the first months of the project. CORSAIR aims to develop a New Industrial Portable Cold Spray Unit to extend the capabilities of in situ maintenance and repair applications. CORSAIR expects to have a strong socio-economic impact by reducing scheduled maintenance requirements as well as a notable green character through re-usability, reduced energy consumption, waste, toxic fumes, etc. The i-VISION project aims to develop immersive semantics-based virtual environments for the design and validation of human-centred aircraft cockpits. The project will officially start in September 2013 under the coordination of Professor George Chryssolouris, director of the Laboratory for Manufacturing Systems and Automation, at University of Patras, in Greece. Promo - Air (Promoting Aeronautics Innovation and Research) was officially launched during the two day Kick-Off Meeting held on May 23d – May 24th, in Athens, Greece and hosted by the University of Patras (LTSM). Promo – Air Project is a Support Action within the FP7 aiming at undertaking actions to raise the interest of young Europeans towards scientific and technical studies in the field of Aeronautics and Air Transport through the production of attractive educational material, by incorporating state of the art research results of recent and current Aeronautics and Air Transport projects. European Commission invests €600 million in new research to unblock congestion in Europe's airspace. The European Commission has issued its innovation investment package that paves the way to the continuation of the Clean Sky Joint Technology Initiative (JTI) within the EU Horizon 2020 Framework Programme. Clean Sky 2 involves 4 bn€ of research activity within a coherent programmatic approach. 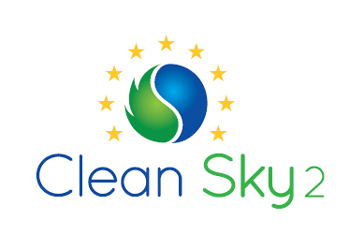 The EU plans to invest 1.8 bn€ in the Clean Sky 2 Programme under Horizon 2020, building on the investment of 0.8 bn€ to date under FP7, and helping to minimise the sector’s environmental impact, and to increase its global competitiveness. The HERMES workshop on “International Collaboration in Transport Research” took place on the 24th May 2013. On the same date the HERMES developed transport databases access portal (www.transport-research-portal.net) went live and was presented to delegates. During the last months of the project, activities have focused heavily on further design refinements and iterations between the Application and the Wing Integration Scenarios. The mission specific fuel consumption reduction from a morphing trailing edge has shown major opportunities around 2% (lower bound). In regard to SHM systems, the vast majority of the scenarios are within their experimental phase. The experimental testing phase is expected to generate sufficient data for the technical decisions required during the next critical concept reviews. Finally, Multifunctional Structures work focused on screening testing has been mainly completed. Initial results indicate good CAI performance as well as good conductivity. A more thorough analysis will be possible after completion of the screening test phase analysis. 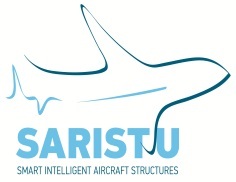 For more information visit the SARISTU project website: www.saristu.eu. HIKARI, Japanese for “light”, aims to provide answers to several topics of public concern dealing with high-speed aviation, such as environmental impacts and global economy, trying to make the general public aware of high-speed initiatives and goals. The outcomes of the 1st semester will be discussed in a dedicated workshop which will take place between September 4th and 6th at the ESTEC facilities, in the Netherlands. 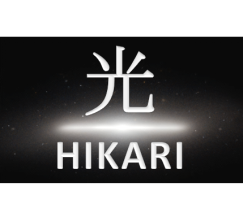 At the same time, the HIKARI public website has been finalized, describing in three languages the project’s objectives and progress. For more information visit the HIKARI project website: www.hikari-project.eu. In the first half year of the QUICOM project, Phase 1 “Detailed Specifications” was accomplished. The end-users defined the industrial needs and the test components for the different application areas. Finally the test specimens together with conventional Non-Destructive Testing (NDT) data were collected. Furthermore Phase 2 “Development of Methods and Techniques” has started, in which the targeted QUICOM technology platform will be implemented. The platform consists of new highly detailed inspection methods based on cutting edge X-ray techniques. This will allow facilitating a full characterization of aeronautic specimens regarding material and geometric features. For more information visit the QUICOM project website: www.quicom.eu. The AIM² Advance Flight Testing Workshop will be held from the 9th to the 14th of September 2013 at Rzeszow, Poland. This workshop is directed at researchers and engineers interested in applying modern optical measurement techniques for flight test. Open access to VZLU´s low speed wind tunnel. Research projects and experiments carried out in the large infrastructure under open access are free of charge. This applies to operating costs and operating personnel services related specifically to activity performed there. 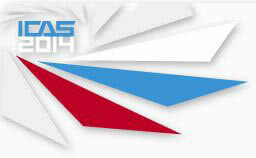 The 29th Congress of the ICAS will be held on September 7th -12th ,2014 in St. Petersburg, Russia and will be hosted by TsAGI. The ICAS Congress provides a unique forum for engineers and scientists from all over the world to learn the results of the latest research and to exchange ideas. In June 2013 the AMADE testing laboratory of the University of Girona, Spain, obtained the NADCAP accreditation in the category "Non-Metallic Materials Testing”. AMADE is one of the only three European laboratories accredited for interlaminar fracture tests (GIC,GIIC).